Ever wonder what a Light Electric Vehicle (LEV) is? 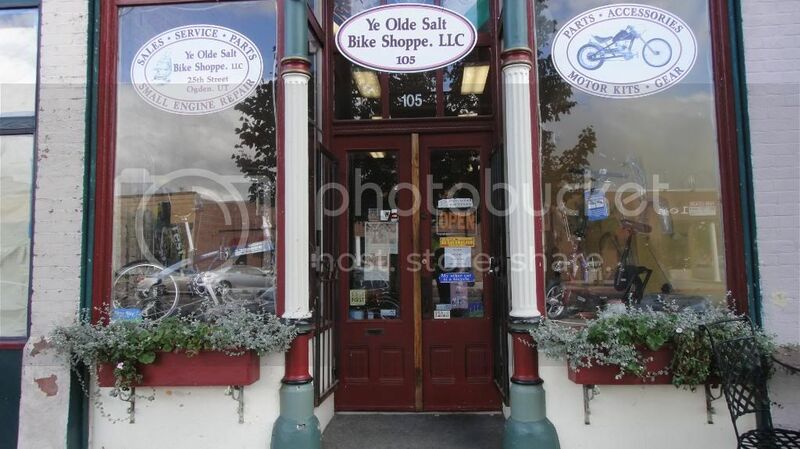 Pop into the Olde Salt Bike Shoppe and find out. It has the heart of a bicycle, the soul of a scooter and will save you big at the pump. It’s even Frontrunner friendly. It offers unassisted power for up to 20 miles. Could be the wave of the future but then again, so could the Olde Salt’s 3G Primitive (looks like a ‘40s cop bike); the Felt Racing LilBastard with 24-inch rims with 3-inch fat tires; or the Chicago Bears bike. From such specialty cruisers to electrics to commuter bikes and choppers, this shop is all about a fun ride that leaves a thin carbon wheelprint.